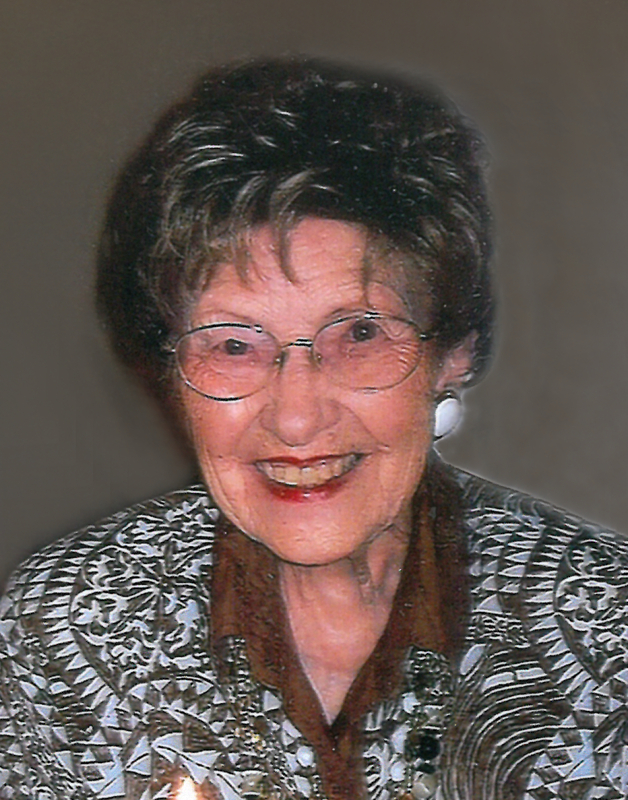 It is with great sadness that we announce the passing of Lenora Clara McRae (Kleist) in Palliative Care at St. Paul’s Hospital in Saskatoon, on Jan. 5, 2018. She was born on Jan. 9, 1921 to Mamie and Karl Kleist of Laird, SK. They lived briefly in Creston, B.C. before returning to Laird when she was 4. Around the age of 12 she started working with her Dad in their General Store/Cafe, and this continued into her early adult life. She met Archie around 1943 and they were married in June, 1947. Both loved to dance — an instant attraction. Together they worked in the store and raised their family of 3 children. Later he worked in the Post Office and she in Don’s ShopRite, all in Laird. In 1974, they moved to Saskatoon where she was employed by the Army and Navy Store as a clerk in the women’s clothing dept. for 17 years — a job she loved. Even after retiring, she worked as a nanny/caregiver for a few years. She remained a member of St. John’s Lutheran Church, Laird, all her life, and participated in many of the activities there. Her Baptism, Confirmation and Marriage Ceremony were all held in that church. Lenora will be remembered as a loving, caring, wise woman and a natural historian and storyteller of all things related to her beloved family and community. She was predeceased by her husband, Archie McRae (1998), parents, Mamie and Karl, and 2 sisters Florence (Art) Wirth and Stella (Al) George. She is survived by her 3 children: Adele Rempel, Ron (Kathy) McRae and Ian McRae; 4 grandchildren: Shauna (Jack) Rempel, Brad Rempel, Kim McRae and Caitlin McRae; and 2 great-grandchildren: Chase McRae-Schultz and Clara Rempel-Segal. She will be greatly missed by all. The family wish to sincerely thank all of the wonderful medical staff, caregivers and music providers who were there during her time in hospital. Once in a while a person comes along, that for whatever reason, they leave a lasting impression that stays with you forever. I remember visiting your mom in Laird when I was very young and then again at A/N every time we went to Saskatoon. I regret not seeing her for many years but have thought of her often. My condolences to the family. I wish I could be with you all to celebrate my beloved Auntie Lenora. She was always an inspiration to me. Her faith, and her positive outlook on life never faltered or failed. I will miss her, her laugh, and her encyclopedic knowledge of the “who-begats”. Sending love to you all in this time of grief. Thinking of you girls as your remember your grandmother.